The proposal to “unlock the box” would stop cable companies from forcing their customers to pay rental fees for set-top boxes, which average $231 per household per year. Instead, cable companies would be required to also support third-party devices, such as TiVo and Roku. 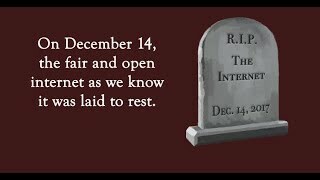 The plan was proposed in 2016 by the previous Chairman of the FCC, Tom Wheeler, and it received ample support from the public, device makers, independent and minority programmers, civil rights groups, copyright experts, content creators, members of Congress, and President Obama. The goal was simple: more competition in the marketplace, and more choices for consumers. But the new Chairman of the FCC, Ajit Pai, supports monopoly interests over consumer protections, and Big Cable doesn’t want to let go of their control over the video marketplace. We're tired of rip-offs and price-gouging we all face at the hands of our cable providers. Consumers will pay at least $1.6 billion per month while we wait on unnecessary delays by Congress, according to the Computer and Communications Industry Association. We are keeping track above of what cable customers are paying for every second we have waited since the end of the final public comment period. 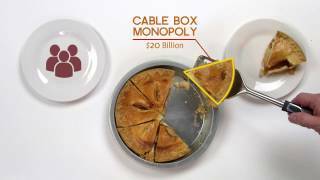 It’s time for the FCC to #UnlockTheBox.